Now that we’re in the meaty part of summer, it’s time to lock up those hefty Malbecs, Bordeaux and Barolos and uncork lighter, lower-alcohol wines that can be pleasurably quaffed when the heat is on—especially during backyard barbecues, picnics and other outdoor adventures. After all, even Chardonnay can get pretty cloying when the thermometer heads toward triple digits. When thinking about summer sipping, think first about what you’ll be eating. Burgers and hot dogs? Paella or pizza? Barbecued chicken and bratwurst? Then choose wines (or beer) that will complement the food you’ll serve. Price should be a factor. I think it’s usually nuts to spend more than $20 for wine that I’ll serve outdoors at a barbecue from a tub of ice. So, I often look to less-prestigious winemaking regions for my summer sippers: New Zealand, Australia, Argentina, Chile and the South of France, for example. After all, the wine isn’t going to be analyzed, studied and pondered as it might be during a December meal of cassoulet. Rather, it’s likely to be consumed quickly and in abundance. So more often than not, when the party moves outdoors, it’s a flimsy little summer cottage of a wine you’ll want to be sipping. Soft, fruity Rosé wines are terrific in the backyard or on the porch. One of my current favorites is Elk Cove Pinot Noir Rosé ($15) from Oregon. For fuller-bodied Rosé, it’s tough to find better summer wines for a better price than Rosé from Provence, in the south of France. 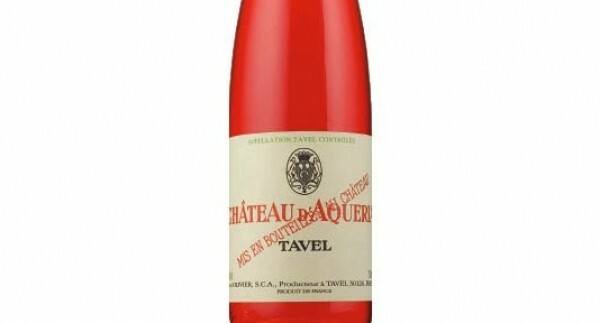 I’d suggest Tavel ChÃ¢teau D’Aquéria ($19). Or, if you can find it, try a bottle of Lorenza Rosé ($18) from California’s North Coast with a lobster salad for an exceptional warm-weather lunch. Looking for something a little more exotic? Try to get your hands on a bottle of Tasca D’Almerita Regaleali RosÃ¨ ($17). This Sicilian “pink” wine reminds me of strawberry pie in a bottle, and it’s terrific slightly chilled on a warm spring day. Then again, it’s hard to beat Domaine Massamier La Mignarde Cuvée des Oliviers Rosé from France, priced at a mere $7, in the bang-for-your-buck pink-wine sweepstakes. Grilled foods call for red wine with enough tannin to fight spices, smoke and bitter burned flavors. For foods off the grill (even charred chicken and fish), I often turn to Zinfandel. Zins from Ridge or Ravenswood (particularly the Vintners Blend) can be good, inexpensive choices. Ditto for Cline and Rancho Zabaco. Then again, so is an Australian Shiraz like Rosemount ($13), or my current favorite Aussie fruit-bomb Zin, Bulletin Place Shiraz ($9). This summer, I’ve also become quite fond of sipping ChÃ¢teau Pech-Latt CorbiÃ¨res ($11), with its dark-fruit flavors and hints of chocolate and olives. You can drink it with everything from grilled rib-eye steak doused in A1 sauce to marinated quail with rosemary. In the world of white wine, Pinot Grigio and Pinot Gris are good choices for light, low-alcohol white wines on the deck, as are Pinot Blanc, Chenin Blanc, Riesling, GewÃ¼rztraminer and Sauvignon Blanc. Joel Gott’s beautifully balanced and focused Sauvignon Blanc ($11) from California is a slam-dunk for summer sipping, as is Australia’s yummy, floral Yalumba Y Series Viognier ($11). For a hint of the French Riviera, try Pascal Jolivet Sancerre ($26) or maybe look to Lodi, Calif., for a sip of the luscious, fruity Uvaggio Vermentino ($14). Alsatian wines are also wonderful summer thirst-quenchers—look for Pinot Blanc and Riesling from solid producers like Zind-Humbrecht, Trimbach, Hugel and Schlumberger. Two final recommendations for warm-weather outings where alcohol is involved: Keep hydrated and apply plenty of sunscreen.